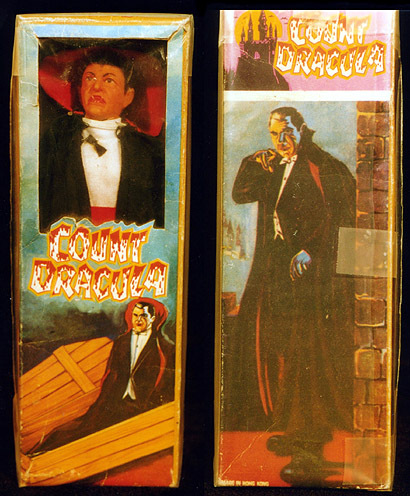 Dracula is the only AHI Super Monsters action figure known to have been distributed in a Mego-style window box. This specimen originated in Europe, giving hope that other AHI monsters may one day surface in similar boxes. The figure is identical to the Type "C" version Dracula.